THIS IS A CARETAKER PROPERTY. PLEASE READ ENTIRE LISTING BELOW FOR DETAILS! 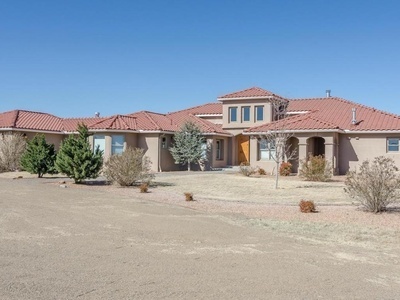 Located just outside Edgewood on 5 acres with views forever! The home is 3,740 sq. ft., quality throughout, 3 bedrooms plus an office. Marble counters and Stainless Steel in the kitchen and 2 living areas. The Barn is 2,411 sq. 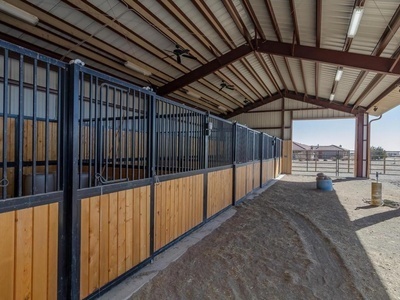 ft. and has 4 quality stalls with automatic Nelson waterers in each, plus a Diet/prep room and tack room as well. There's plenty of fencing for corrals and training. There will be a $200 discount if you don't have Horses. 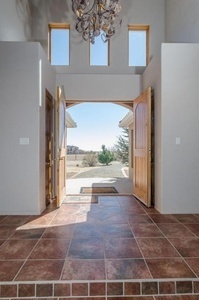 Easy access to Metro Albuquerque or Santa Fe. Set up for training and working, yet with easy, gracious living. Great place to live with your horses until the property sells!